From RC enthusiasts to World Class Drivers seeking to adjust their shock oil quickly between heats, the Ride Air Remover has become a must-have among all RC accessories over the years. It was time to redefine our best seller. The Long version is then adapted for long length shocks commonly used in Off-Road application.
? 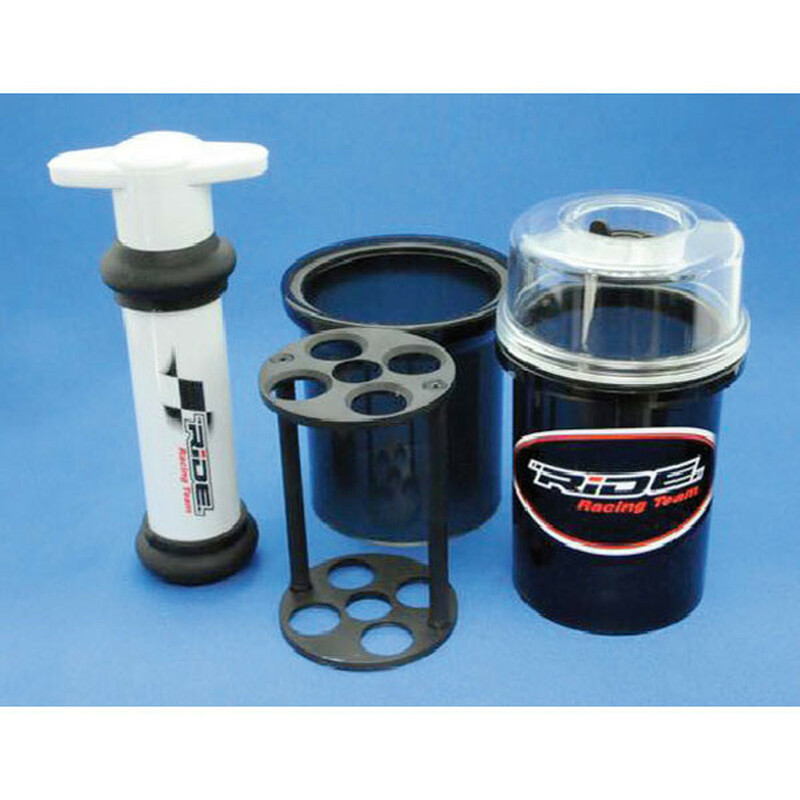 Lightweight damper stand can receive countless types of shocks and also gear differential.
? Includes a handy and light pouch for easy transportation.